Your quarterly CREP newsletter has arrived! CREP mini-grants, new buffer maintenance video, CREP promotional materials, and partners listserve. PACD is now accepting mini-grant applications from conservation districts for up to $3,000 to implement educational and outreach activities that support and extend the work of the Conservation Reserve Enhancement Program (CREP). Projects should focus on CREP enrollment, re-enrollment and/or CREP maintenance. 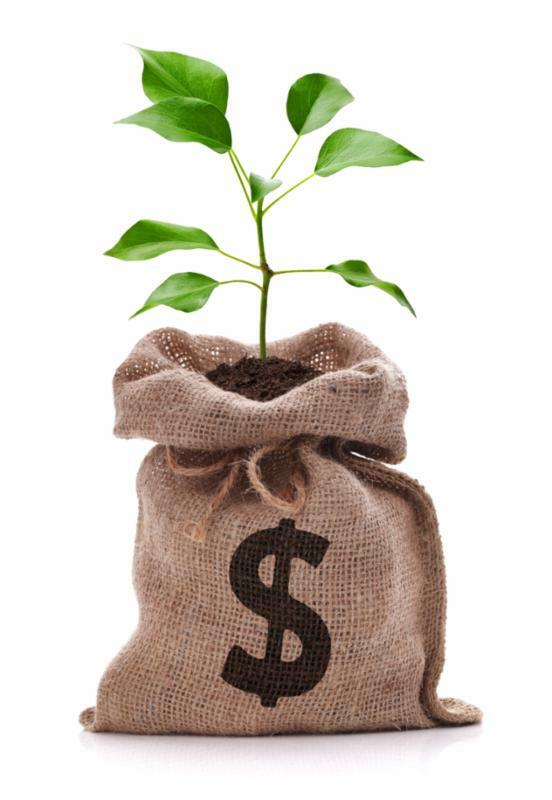 The guidelines and application for the new CREP mini-grant program for conservation districts are posted here . Questions should be directed to Shannon Wehinger at swehinger@pacd.org . The Capital Resource Conservation and Development Area Council (Capital RC&D) has produced a short video that shows the correct implementation of maintenance tasks, such as tree shelter maintenance and herbicide application, organized by season. Buffer Maintenance Basics: Seasonal Maintenance for a Healthy Riparian Buffer includes tips for both new and mature buffer management that will help ensure a successful buffer planting. Click here to view the video, which is also available on the Capital RC&D YouTube channel . CREP partners have access to a wide variety of resources to help promote the program and educate current or potential program participants. Available resources include print materials, a standing banner, and a five-minute video featuring landowners sharing their own CREP stories. Resources can be used for one-on-one farm visits, district-sponsored workshops, or county and statewide exhibition events. Click here to see the CREP standing banner, print materials, and other resources. To view the Conservation Pays video, click here. Are You a Member of the CREP Partners Listserve? 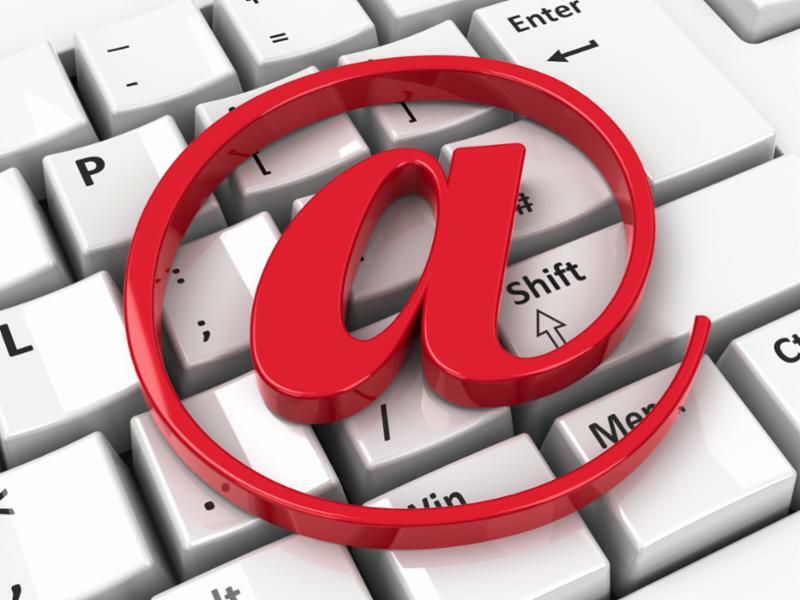 Members of the CREP Partners Listserve already know that it’s a convenient way to share and receive program information, but did you know it’s also an email discussion group? Listserve members can ask questions, seek opinions, and discuss current issues related to the program through the list. Interested partners can email Molly Burns at mburns@pacd.org to join. 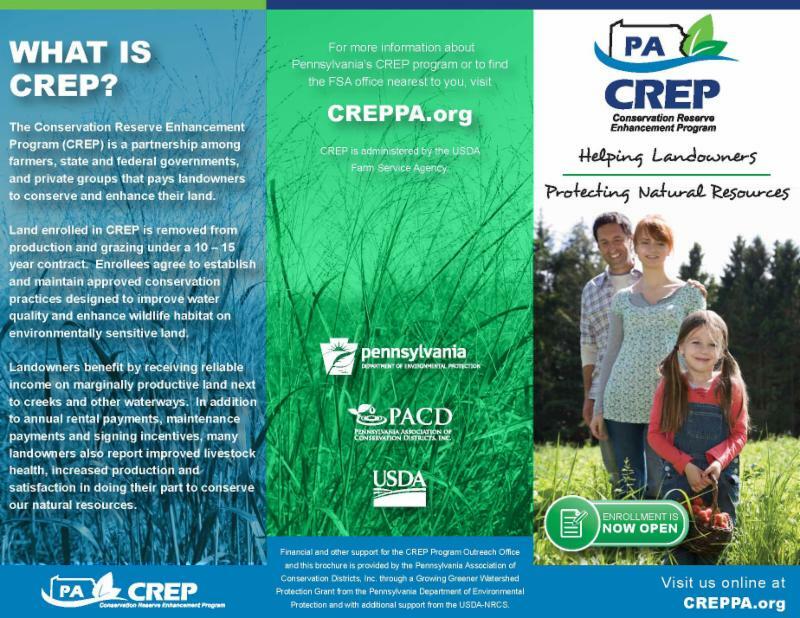 Financial and other support for the CREP Outreach Program Office is provided by the Pennsylvania Association of Conservation Districts, Inc. through a Growing Greener Watershed Protection grant from the Pennsylvania Department of Environmental Protection and with additional support from USDA-NRCS. The Pennsylvania CREP program is administered by the USDA Farm Service Agency .